Brothers and sisters: they can make great friends, and it's nice to have someone who'll love you no matter what. But kids know siblings can be a real drag, too. Full-color illustrations and humorous, kidfriendly text teach kids how to cope with problems of fairness, jealousy, conflict, tattling, privacy, and other things that can make having siblings so difficult. Kids learn how to cope with a new baby in the home and how to handle special situations such as siblings with special needs, step-siblings, and adopted siblings. 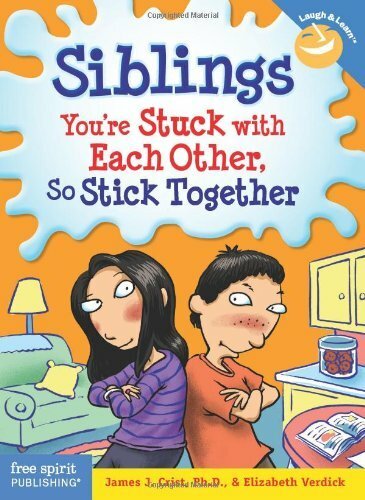 Unlike most other books on the topic, Siblings doesn't dwell on sibling rivalry; it focuses on building positive relationships. After all, siblings can grow up to be the best of friends. About James J. Crist Ph.D. (Author) : James J. Crist Ph.D. is a published author of children's books. A published credit of James J. Crist Ph.D. is Siblings: You're Stuck with Each Other, So Stick Together (Laugh And Learn).